This is great example of a fantasy castle. 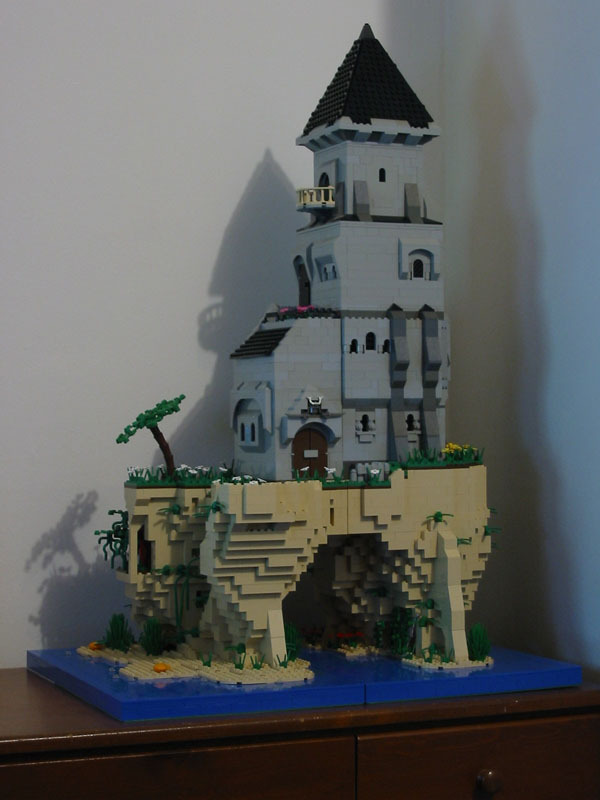 The rocks, caves, and beach are exceptional and the whole tower is modular, allowing easy access to the inside. Overall, a wonderful creation! Check out the Brickshelf gallery!